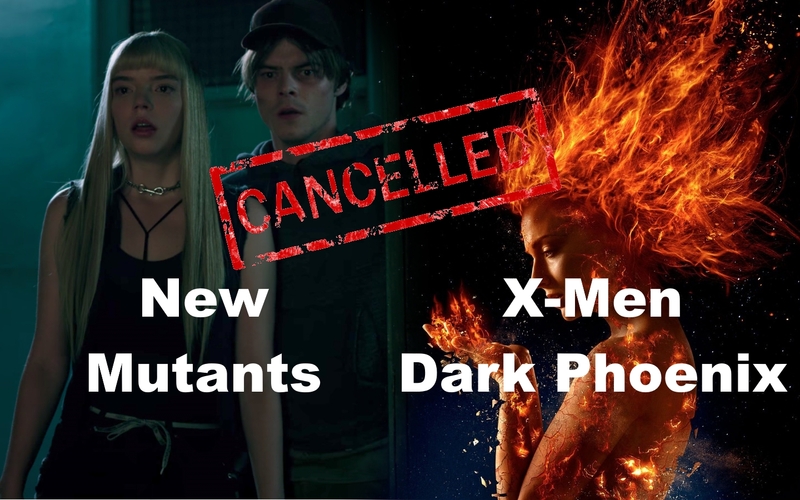 Notes and Nerds: New Mutants and X-Men Dark Phoenix Cancelled? New Mutants and X-Men Dark Phoenix Cancelled? We have some late night news to give you! From what we are gathering, it is pretty major news regarding X-Men Dark Phoenix and the New Mutants films. It would seem that rumors are circulating that an anonymous "Fox Employee" has gone on record stating that both X-Men Dark Phoenix and New Mutants are CANCELLED! From what it sounds like, the films were on the level of "excellence" similar to Fantastic Four. That's bad. Supposedly, New Mutants was so bad that half of the film was scheduled to be reshot! The individual dropping this story even stated that Anya Taylor-Joy did NOT get along with another co-star. Also, Mr. Sinister was NOT going to be featured at all. The individual also stated that Dark Phoenix had "called in" style of acting...as if no one cared about the film. This person also said that the Disney/Fox merger was all but a done deal at this point, and Disney and Marvel Studios has every intention to reboot the mutant franchises in a future phase. The only good news about this? Deadpool is safe. The proposed X-Force film is being revamped into Deadpool 3: X-Force. The rumor also states that the X-Force may comprise of the New Mutants cast in some way, minus Anya Taylor-Joy due to her previously stated "issues". So there is hope that the Merc with the Mouth is going to be a part of the MCU! Now we should keep in mind that the New Mutants trailer was released nine(9) months ago. There was also NO talk about either film at SDCC, which does NOT bode well for the franchises if they are to release next year. It also appears that the X-Men film has been removed from the Fox Movies upcoming releases lineup. Some other bits of information are leading to the notion that the announced "The Eternals" film will somehow introduce the mutants into the overall MCU. Sadly, the Gambit film that has seen so much turmoil to get off the ground just got buried. Yeah. It's dead. Lastly, Marvel Studios also has some sort of plans for the Silver Surfer and Galactus, but it is supposedly in some for of "unofficial"(?) status. That unofficial status could very much change if the merger is in fact complete. At this time, this is all lining up as a rumor. So we need to take this with a grain of salt.